Feeding the 5K’s Disco Soup event in NYC on September 20th came on the heels of Food Tank’s Food Waste Free NYC event one night earlier. Continuing the momentum, the Disco Soup event showed the power of partnerships dedicated to reducing food waste. The produce in the attached photo — gleaned earlier in the week — was high in nutrition and taste. Due to slight imperfections and market conditions, it would have been otherwise discarded. 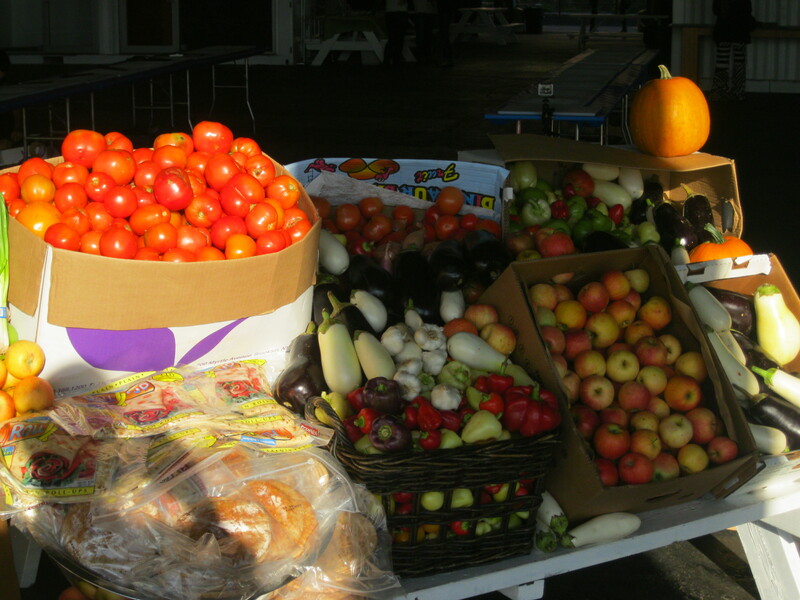 Instead, the forward-thinking farmer partnered with the Feeding the 5K ( http://www.feeding5k.org/ ) team to donate the produce to the event — thus reducing his disposal costs and reducing the environmental impact (in terms of greenhouse gas emissions) of discarded food. Most importantly, this high quality food was diverted to its best possible use — feeding people — while also enabling a large and dedicated group to spread awareness of the problem of global food waste. The event clearly showed the triple bottom line potential of food recovery partnerships. Donors reduce their costs and often receive additional benefits in the form of an inspired work force feeling great about their employer and motivated to look for opportunities to reduce waste (and achieve further savings) elsewhere. Society benefits from reduced environmental impact as excess food is prevented from disposal in landfills. Last, food insecure individuals receive desperately needed calories of high nutritional value to promote health and well-being. Food recovery partnerships have a clear people, planet, and profit impact — and in this case clearly yielded “fruitful” (or should I say “fruit-full” results.